Finally. Philadelphia has a legitimate, big time music festival to be proud of. 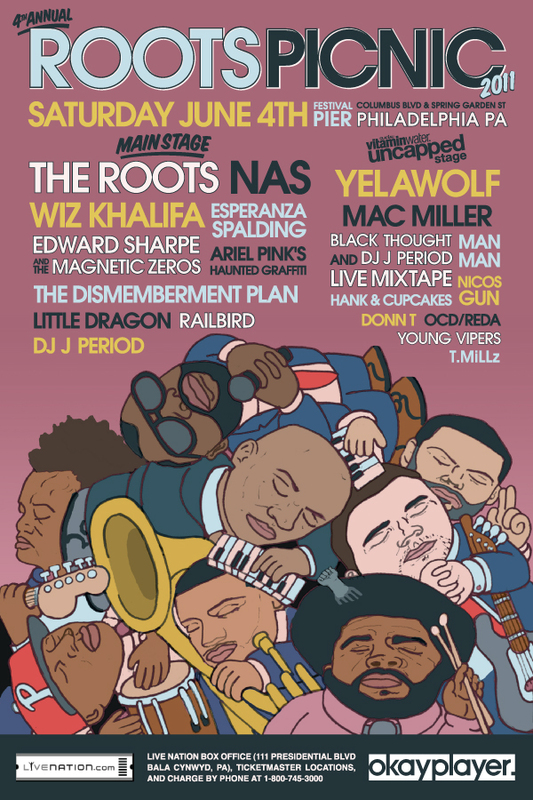 Yes, The Roots Picnic brings in a notable lineup, but it lacks the festival atmosphere. Luckily for all of us, POPPED! Music Festival has stepped up to take over that role. The festival, which will take place at FDR Park on September 23rd-24th, will bring the likes of The Shins, Panda Bear, Girl Talk, Pretty Lights, Cults, The Pains Of Being Pure at Heart, and many more, to the city. Tickets for the festival are available now and can be found HERE. (They’re a reasonable price, too!). Check out the lineup below. What to do in Philly on Friday? What to do in Philly on Sunday? Drexel Music Showcase featuring Kuf Knotz, Slo-Mo, Money Fame and Love, Hezekiah Jones, Spinning Leaves, When I Was 12, Night Fevers, Wild Rompit, D&M, Gypsy Death and You @ TLA – 3pm till ?? Tagged with Music, Philadelphia, Shows, Sunday, Tickets, Today Is.. So The Antlers were just here last week when they played in the Sanctuary of the First Unitarian Church and it looks like they’ll be back again in October. Next time they play Philly, the Brooklyn quartet will open for Explosions In The Sky at the Tower Theatre. The two of them on the same bill is like a dream that will eventually come true. The show will take place on Sunday, October 2nd. Tickets went on sale today and can be found HERE. I recently noticed that the line up for this year’s edition of The Roots Picnic featured a few more artists/bands than the initial lineup. Check out the poster below to get the complete lineup. Tickets for the one day festival being held on Saturday, June 4th at the Festival Pier are still available and can be found HERE. James Blake is playing his long sold-out show at the First Unitarian Church tonight. It was originally going to be held at Johnny Brenda’s, but it was moved to a bigger venue once the original show sold out in a few hours. If you weren’t lucky enough to get tickets, R5 Productions recently tweeted that they will be releasing 10 more tickets for the show at noon. You will be able to find them HERE. They also announced that doors have been pushed back till 830pm. In other news, he played Later with… Jools Holland over the weekend and you can check out his performances of “The Wilhelm Scream” and “Limit To Your Love” below via Some Kind Of Awesome. What to do in Philly on Tuesday?